The Official Johnny Sokko Series on DVD. Click to Purchase at a Discounted Price! 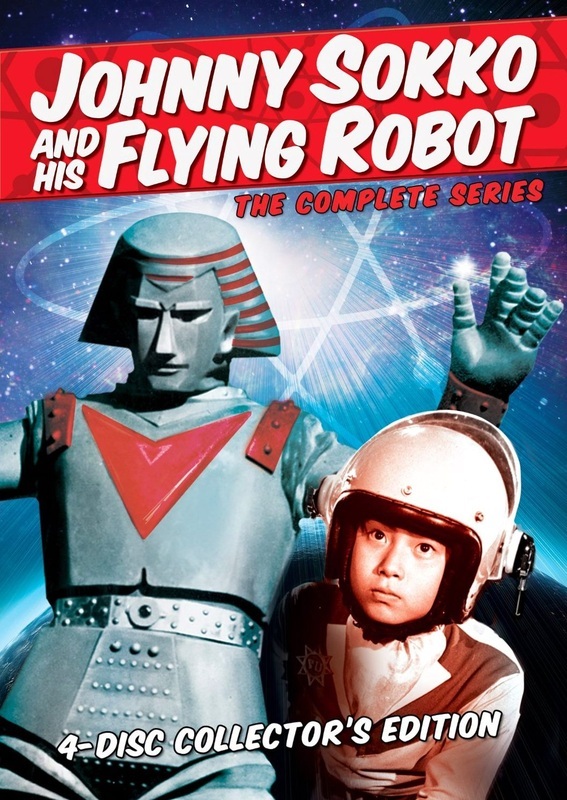 The complete Johnny Sokko and His Flying Robot series was officially released on DVD for the first time in North America on March 26nd 2013, by Shout! Factory. Not only does this set feature all 26 full-length episodes in better quality than ever previously available, but also includes a 24-page booklet on the history of the series, written by Japanese Pop Culture writer, August Ragone! Know Someone Who Might Want This? Share This Page With Them!